A four-and-one-half-cent Prexie stamp used to pay three times the third-class rate for mailing printed matter in effect from April 15, 1925 through December 31, 1948. 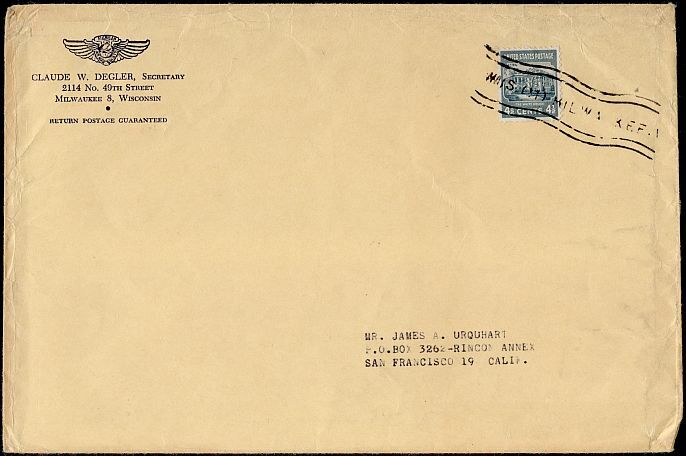 Miscellaneous merchandise was rated the same as third-class mail up to eight ounces. The package that bore this label was sent third class because it weighed between four and six ounces. Third class rates were the same for territories. 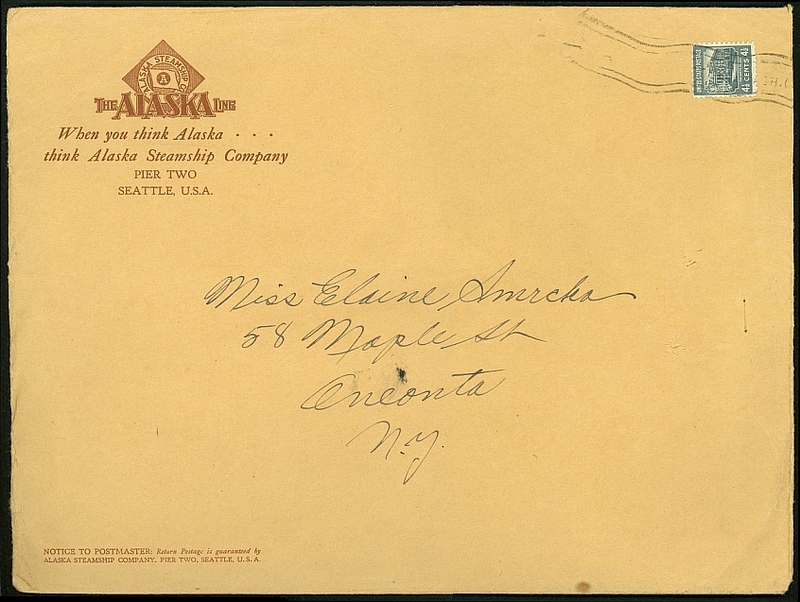 This package of printed matter was sent from Alaska to New York in 1938. All of the materials are still with it, including sailing schedules for 1939. 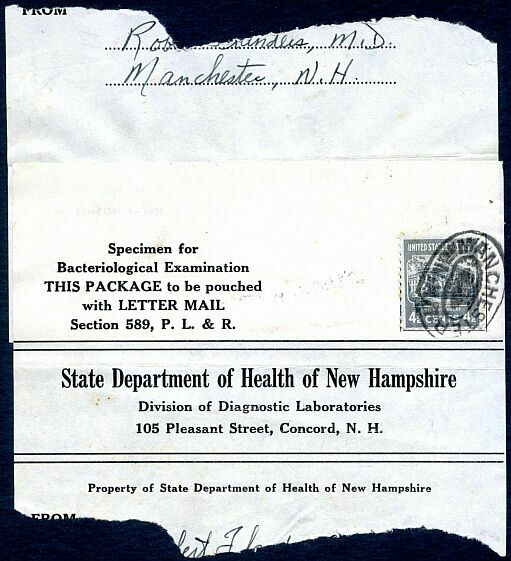 Bacteriological specimens were granted first-class service at third-class rates. This example must have weighed between four and six ounces.